Want to Learn How to Prospect Better Leads to Generate Massive Revenue Growth? I am looking forward to the upcoming prospecting webinar, and I hope you are too! In this webinar, I’ll be sharing my actionable, road-tested tips and tricks to help optimize your engagement efforts and prospect outreach. 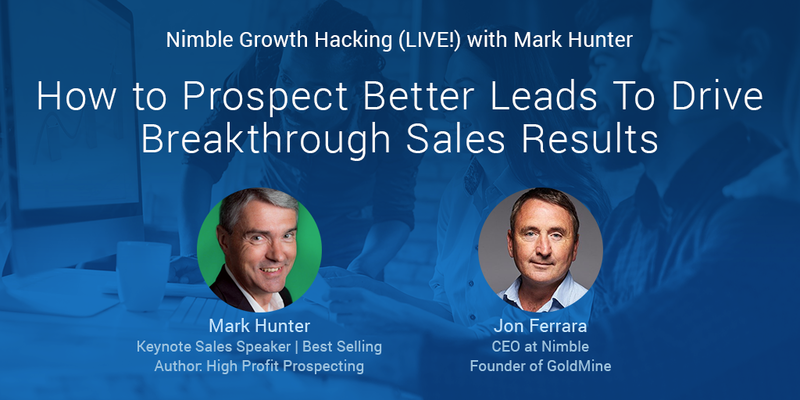 Hosted by Nimble CEO Jon Ferrara, this webinar has limited seating, so reserve your seat today! Can’t Attend in Person? If you can’t attend the live webinar, sign up to receive an emailed recording after the live session takes place. PrevPreviousWhat Do Your Customers Have to Say About Your Sales Leadership?